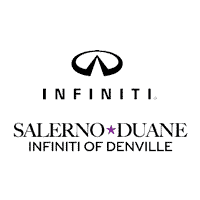 The Morris Plains School District Food Truck Festival will be taking place on Saturday October 6th and Salerno Duane INFINITI of Denville is proud to be supporting the Morris Plains Borough Class 2019 8th grade field trip to Washington DC by giving away a 65” TV at the event! 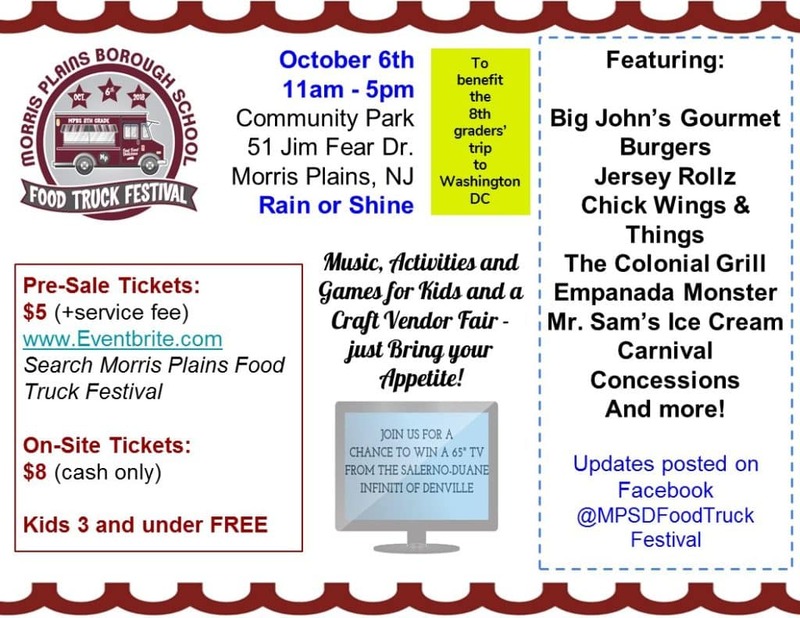 You can only enter to win the 65” TV we’re giving away by attending the Morris Plains School District Food Truck Festival! Advanced tickets are available for only $5 per person until Friday October 5 at 8 pm, while same day tickets are available at the gate for $8 per person (cash only). Kids ages 3 and under can come into the event for free. We hope to see you at this fundraiser that’ll help the school district’s 8th grade Class of 2019 go on a life-changing trip to our nation’s capital!